Summer-ish heat has been popping up periodically in the midst of spring! Fortunately, our awesome Delta Breezes have been springing up as well, making the days a lovely delight! Summer is DEFINITELY on its way, though. With it, comes TONS of fun Roseville activities and summer things do Roseville CA! Bayside Church is back with their awesome Breakaway and Breakaway Extreme Camps. The video above was from 5 years ago so a few things have changed but it does a good job of giving you a hint of the fun to come. I’ve been helping with those off and on for years and can tell you personally they are so much fun – for campers AND for volunteers! Kids will have fun with a wide variety of activities, crafts, stories, music, activities, and drama. And may I say – I LOVE those dramas. They do such a great job on them and they are so much fun to watch! This year, Bayside Breakaway campers will be enjoying WELCOME TO THE JUNGLE at 49 different camps at 7 locations in the Sacramento area. To find out more information, or to see times for other Bayside Breakaway camps throughout the Greater Sacramento Area (Midtown, Folsom, Davis) as well as Santa Rosa, just click here. 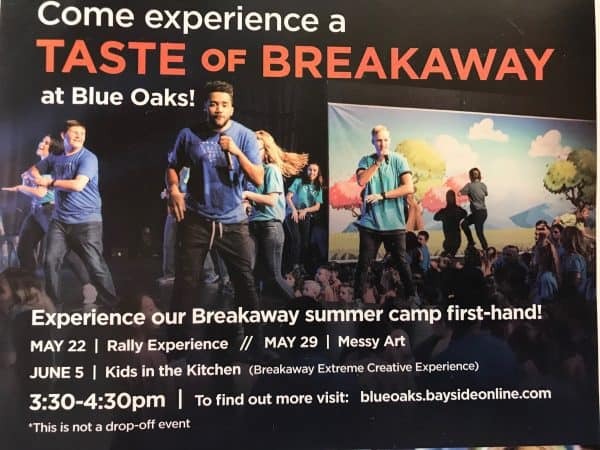 And if you’d like to check it out a bit first – Bayside Blue Oaks is offering “Taste of Breakaway at Blue Oaks!” this month. Bayside Church is not the only ones having awesome summer camps. You can find several more at a fave resource of mine, Macaroni Kids Roseville, Rocklin, and Lincoln’s Vacation Bible School Guide with VBS listings for Roseville, Rocklin, Granite Bay, Loomis, and More. That’s not all! There are a ton of great summer camps for kids in Roseville and the surrounding Greater Sacramento Valley Area. 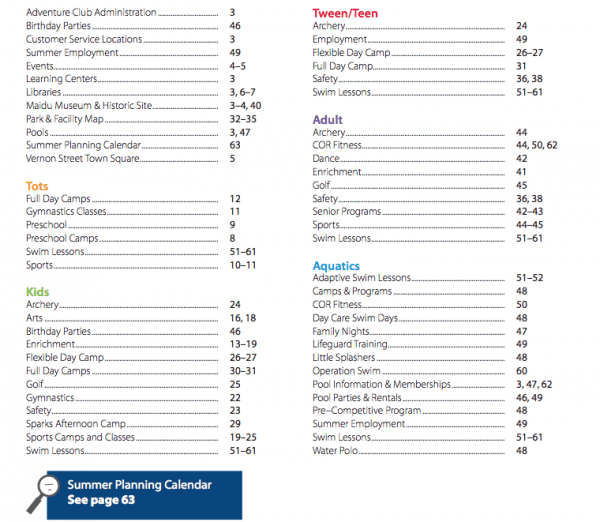 You can find many/all of them in Macaroni Kids Roseville, Rocklin and Lincoln’s Summer Camp Guide. No wonder our Roseville area has won so many accolades for being such a delightful family-friendly city, with a great focus on health! Summer in Roseville and the surrounding Sacramento area is, generally, much cooler than Southern California and Arizona. We are definitely less humid than my grandkids’ city in the southern part of the USA. However, we do get our share of HOT days, and even when it’s not HOT, it’s still pretty hot through the summer months. When we lived in Southern California, I would get a family pass to our community swimming pool and we’d enjoy COOL fun on the HOT days all summer long! And we’d all sleep GREAT as well! I’m happy to tell you that Roseville has summer family swim passes as well and you can pick those up at Mike Shellito Pool and the Sports Center. Or you can just pay as you go and for some pools, that actually works out as good or better. Either way, it makes for cool fun for the summer! 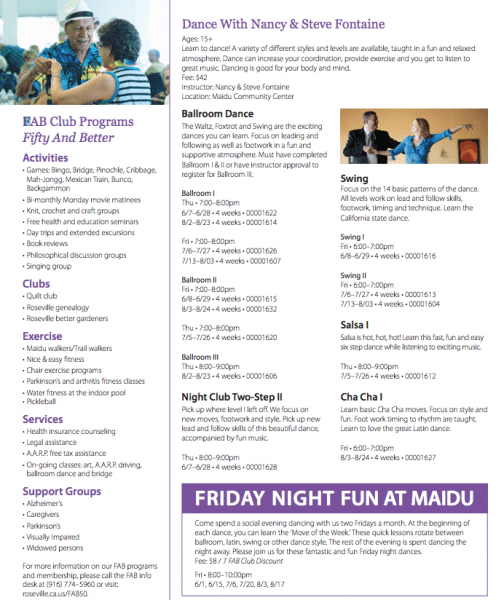 Once again, Macaroni Roseville Rocklin Lincoln has some terrific resources for even more splish-splashy cool Roseville activities as well as fun things to do in the surrounding Roseville area. 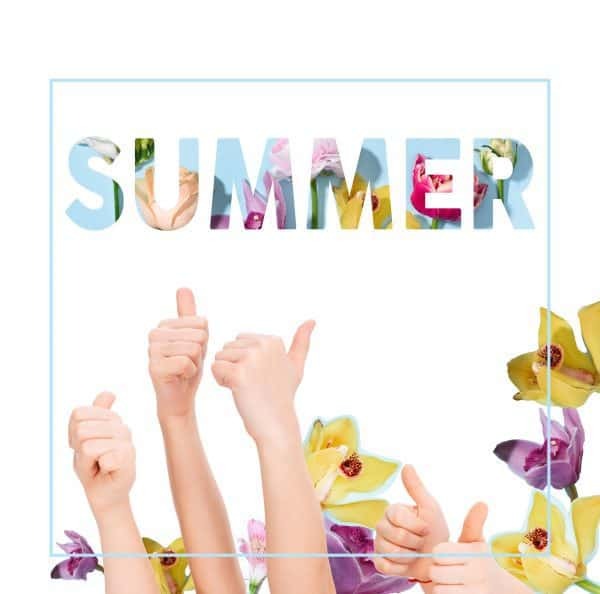 Be sure to check out the Summer Fun Guide from Macaroni Kids Roseville Rocklin and Lincoln as well as her Summer Movie Guide for summer fun things do Roseville CA and the Greater Sacramento Valley Area all around us for tons more ideas! 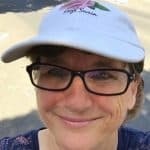 Sacramento Sidetracks is another fun site to check when looking for ideas and fun things to do in the Sacramento area on the weekends. And for those who live in the terrific 55+ active senior golf and other retirement communities of Sun City Roseville, The Club at Westpark by Del Webb and Silverado Homes at Eskaton Village – there are plenty of great activities going on all summer through their activities centers. Not to mention their gorgeous swimming pools and the two awesome golf courses at Sun City Roseville. 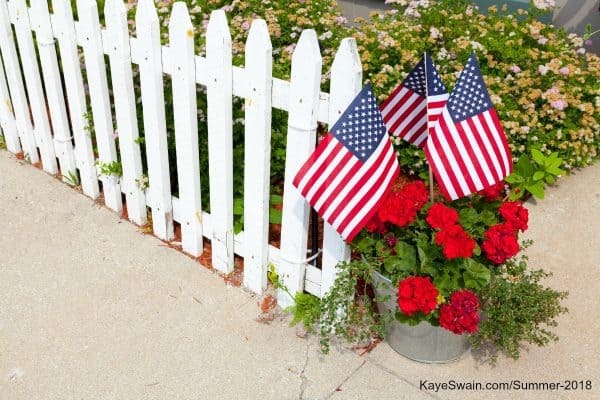 I know much of that is also true for the various Independent Living and Assisted Living communities we are blessed with in Roseville and the surrounding area.